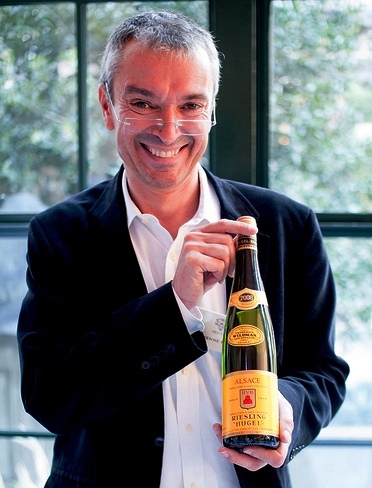 There came some sad Riesling news last week from the Hugel Famille in Riquewihr, Alsace. On 9 April 2016 Etienne Hugel past away at the age of 57. He was in charge of promoting the Hugel wines abroad. The passing of a great Riesling man, hits the wine world hard. RIESsearchING’s heart is with the family in these times! Now for “not so RIESsearchING” at Sandro de Bruno! 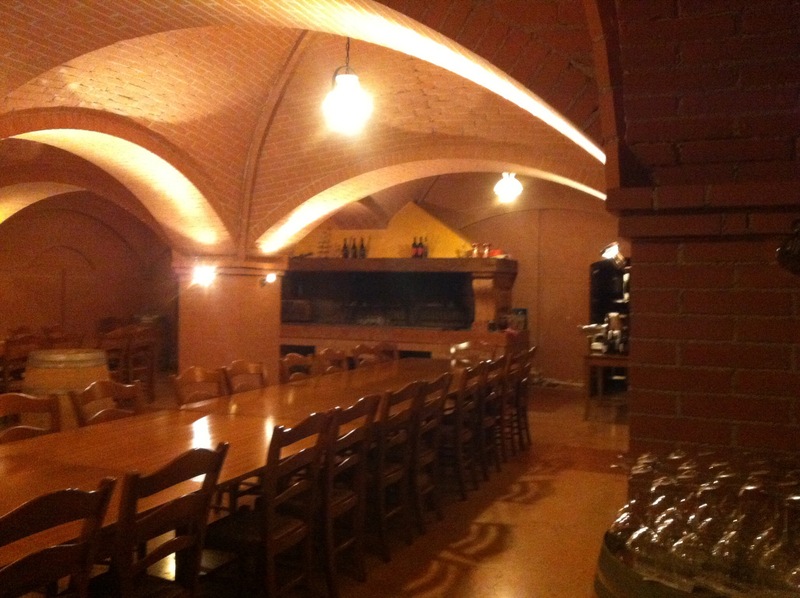 I stayed at Musella, so I had to drive 20 minutes to Pergola (Verona) near Soave. Once I came into the neighborhood of the winery it was clear the area was called Pergola. Because all vines I saw were trained in Pergola style. I arrived at the quite new winery, and the scene was breathtaking! Cherry blossoms were blooming, the sun was shining. It was just so right. And quite new because there first bottled vintage was 2007. And next year is the 10th anniversary of the winery. Alessandra gave me a tour of the winery. She was very welcoming from the very start. Which was very nice. 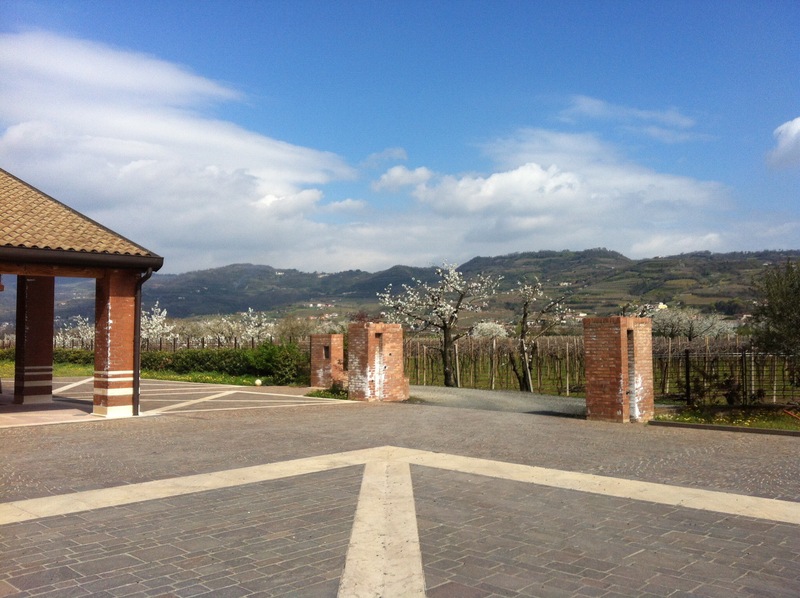 We started outside where she pointed out where the vineyards where on the volcanic mountain of Soave. 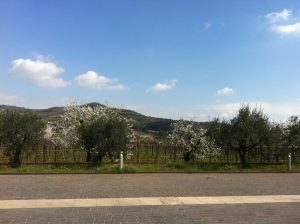 Also closer by on the plain area they own some vineyards of Durella. This is a grape variety that only grows here in this particular area. 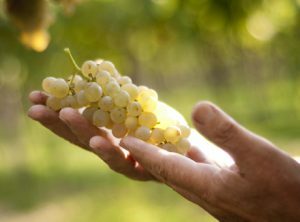 The grape is generally used for sparkling wines, because of the great structure and amazing high acidity. So perfect for a sparking base wine. 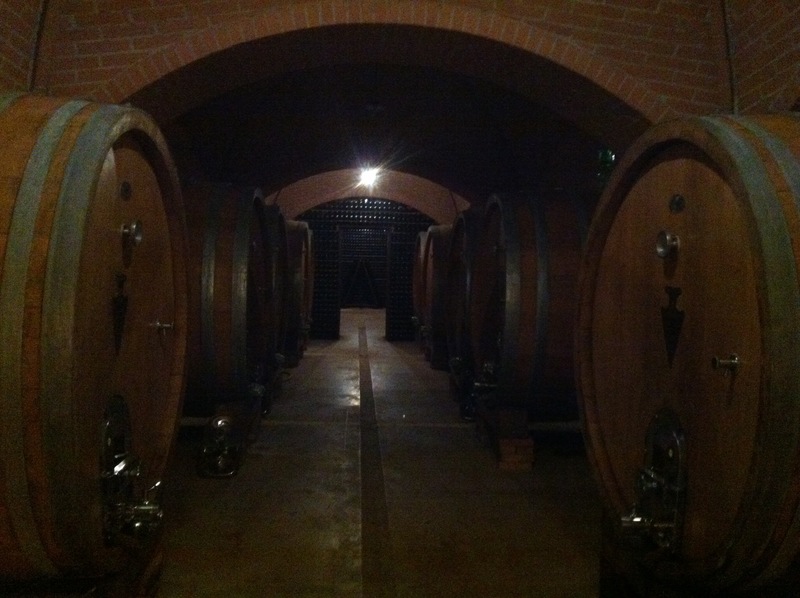 But Sandro (the owner and winemaker) did make a still wine from this grape. It is something quite different, it had quite a deep color, very mineral from the soil of course. You had lemon and fresh, crisp apple some pineapple, some yeasty notes and a strong medium finish. On the principal floor, they have their stainless steel tanks where all grape most is received in and the white wine stays. They red wine and sparkling wine go to the cellar. In the cellar, they have this idyllic tasting room with fireplace. Where they organize food and wine pairings with their own wines. Behind a glass wall in the tasting room you have the oak casks, where the red wine ages. In the rear of the barrel chamber, they created a sparkling room! 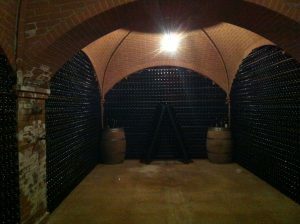 A room built out of bottles of sparkling wine laying sur lat, waiting for remuage. It’s such a nice sight! They work with nature in mind. They only spray chemicals hen needed and they only add the minimum required sulfur dioxide to their wines. They also don’t filter the hell out of the wines. They’re all wines with amazing texture. Later, I tasted the Soave Superiore 2013, the Durello still wine 2008, the Pinot Noir 2010 and the Cabernet Sauvignon 2008. I highly recommend these wines. They are different but really nice! The Pinot Noir was exquisite! Because it is grown on the volcanic soil of Soave, it delivers a delicate mineral and smoke touch on the palate. Which is not expected, but so wonderful! It has quite high tannin, but they’re integrated with the fresh red fruits and smokey flavors. The wine has quite a long finish as well. And the name Sandro de Bruno. I thought de Bruno is Sandro his last name. Sandro’s last name is Tasoniero. Bruno is the name of his father, who passed away when Sandro was very young. 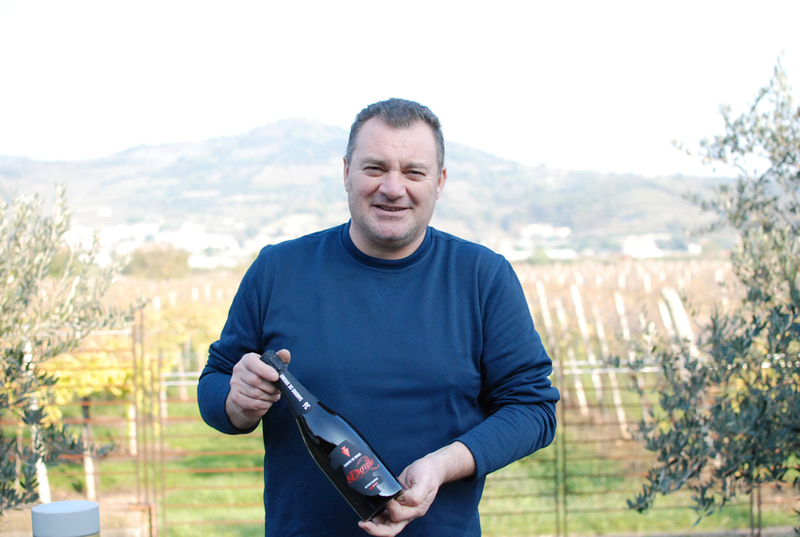 It was Sandro’s dream of starting a winery in honor of his father. That’s why Sandro de Bruno! It’s like Sandro son of Bruno! This makes me even respect the wines more, there is a whole story about the winery! 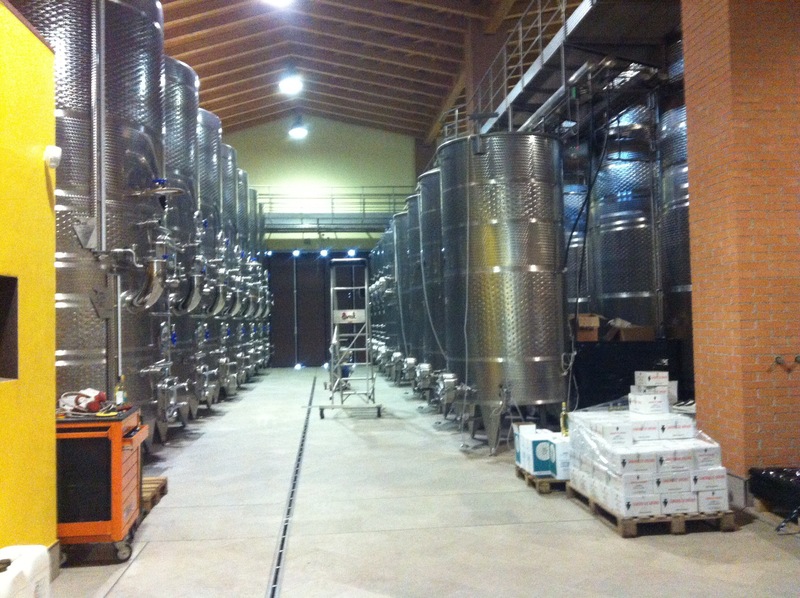 It’s not exactly an “Oh, let’s just start another winery” story! Azienda Agricola Sandro de Bruno has a particular place in my hart! It’s a beautiful company, with beautiful wines and beautiful people! Thank you so much for the great experience! Sandro de Bruno! And I’ll see you guy’s the next “not so RIESsearchING” for my last winery visit in Venice!